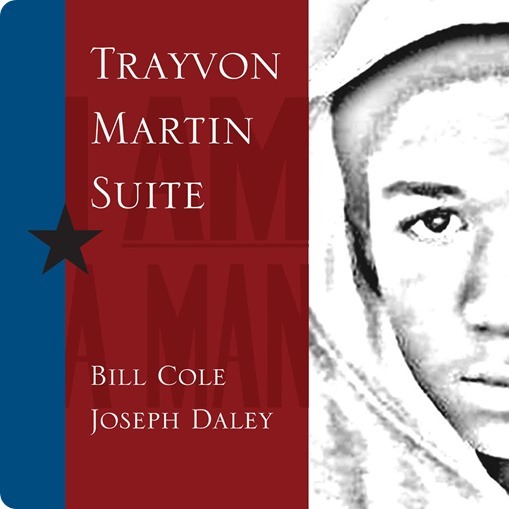 The latest release on Jodamusic Records is a duo project by Bill Cole and Joseph Daley in memory of Trayvon Martin. On February 27, 2012 while returning from an evening passage to the store Trayon Martin was illegally targeted and followed. He was doing nothing wrong. The unjustified pursuit of this young man led to a nightmarish scene where the unarmed seventeen old was shot and killed despite the fact that he had the legal right to stand his ground. This single act ended his life, liberty and pursuit of happiness. Surely; this must be viewed as a crime against humanity. Similar crimes were committed against Amadau Diallo, Renisha McBride, Jordan Davis, Michael Brown, Eric Garner, Ousmane Zongo, Timothy Stansbury, Akai Gurley and countless other African American men, woman and children.